From Groove Col climb firm rock on the east face to join the ridge, then negotiate large towers to the summit. From the head of the Cameron Glacier follow the broad buttress that joins the summit ridge just before the top. Take the gully that leads from the Cameron Glacier directly to the summit. rom the base of the North West Buttress, climb ledges on the left until about half-height. 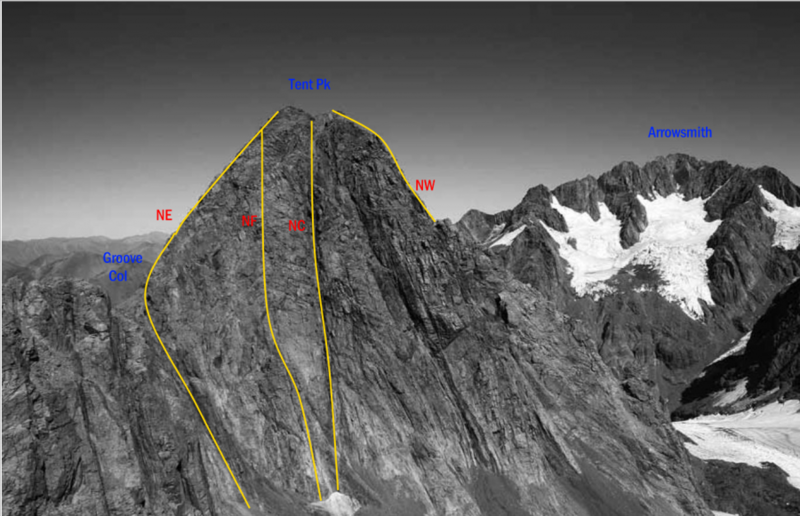 Climb a short pitch at about rock grade 10 in a gully on the south-west side and scramble to join the summit ridge about 50 metres north-east of the summit. Climb the steep snow couloir, watching for rock fall. Lack of snow leaves steep, compact scree and gullies to the top. 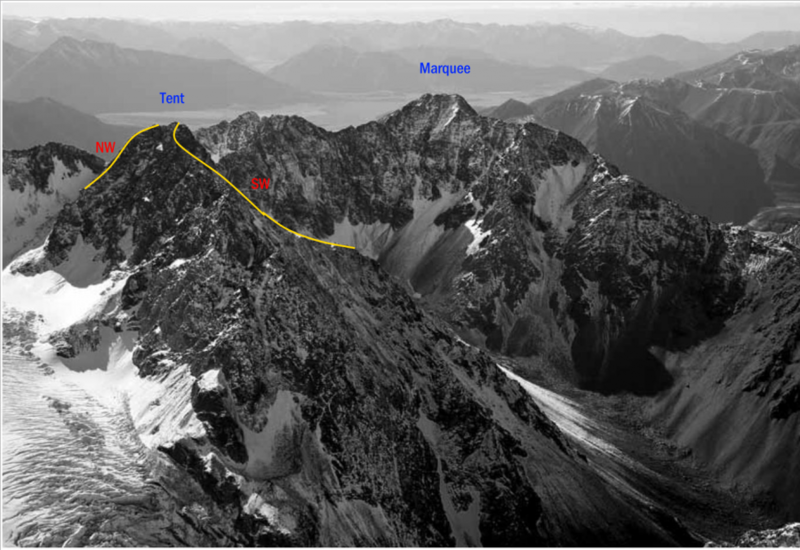 The South West Ridge can be reached via a couloir from the Cameron Glacier or from the lower valley leading to Peg Col. Travel is straightforward to Pt 2366 metres, but the ridge is narrow, tricky and exposed from there to Tent Peak. From the valley leading to Peg Col, climb snowfields and gullies to a couloir, just north of the summit, that provides the best access to the ridge. The summit ridge has small towers and the last 20 metres is loose.